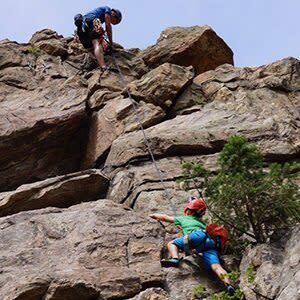 Golden Mountain Guides offers guided rock and ice climbing, in-depth climbing instruction, and highly customizable climbing trips throughout the Golden area and across the Front Range of Colorado. Climb frozen crystalline water, dangle 1,000 feet off the ground, or learn new skills and gain new confidence in a safe and scenic environment. Golden Mountain Guides strives not to just guide people in the mountains, but also to create empowered climbers with the technical skills and safety-oriented mindset to push the boundaries of what is possible. They welcome beginning climbers or the seasoned climber looking for the next adventure. 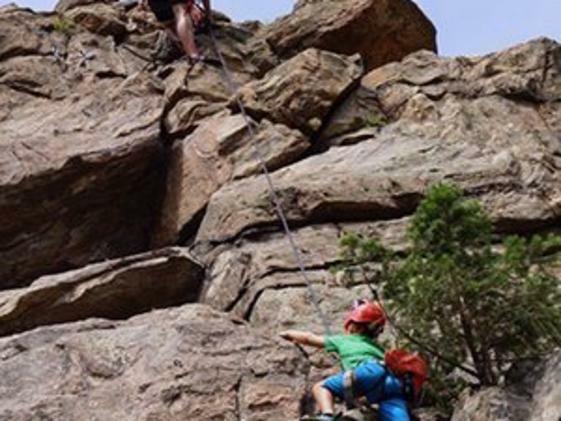 Adventure with them and learn the Fundamental Elements of Climbing!